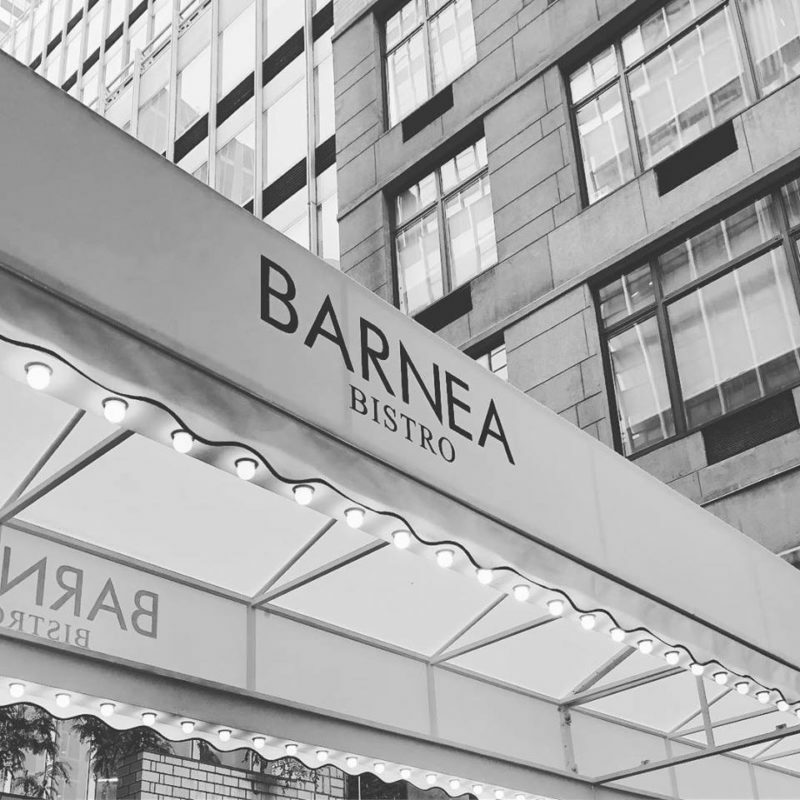 With aspirations of becoming the first Michelin starred kosher restaurant in the U.S., Barnea Bistro opened its doors yesterday to the public for the first time. This fine dining restaurant in Manhattan’s Midtown East, uses finely composed plates to elevate the experience of diners in their progressive, French bistro style restaurant. [Note: the restaurant’s soft opening during the 9 Days will only include a vegetarian / pescatarian menu. The restaurant’s full menu will launch next week]. 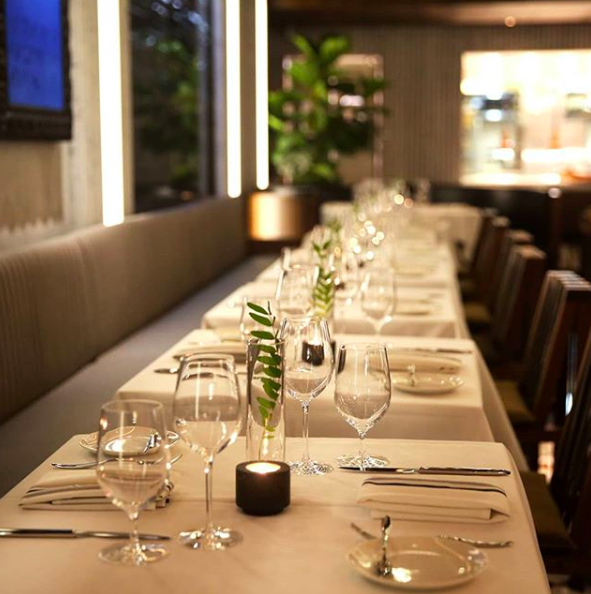 Located on 46th off of 3rd Ave, the restaurant is beautifully designed with natural materials–wood, leather, marble, and also includes an open kitchen for a contemporary atmosphere. 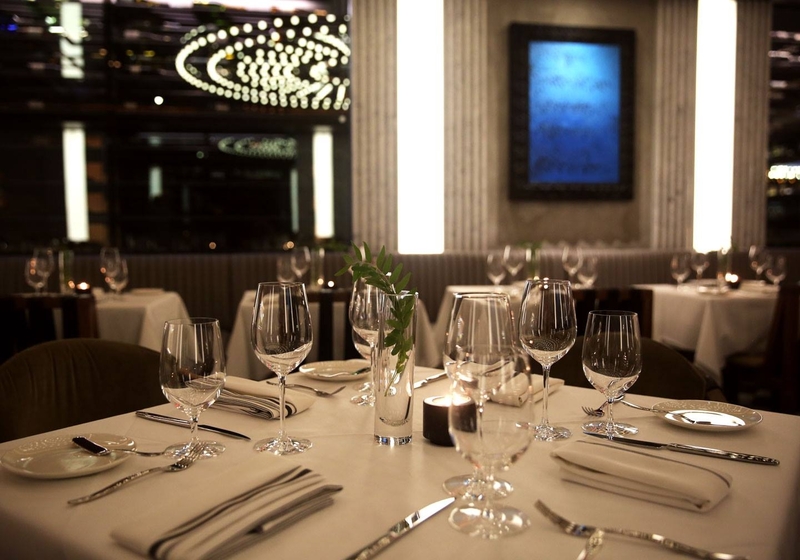 For now, the restaurant is only open for dinner service Sunday – Thursday, however, the restaurant will soon be adding a lunch service as well as Saturday night service in the autumn. While Barnea Bistro is very much focused on meat dishes, the chef will not shy away from introducing vegetarian tasting menus as unique options for diners. The dinner menu includes options for everyone with both marked gluten free (GF) and vegan (V) options. 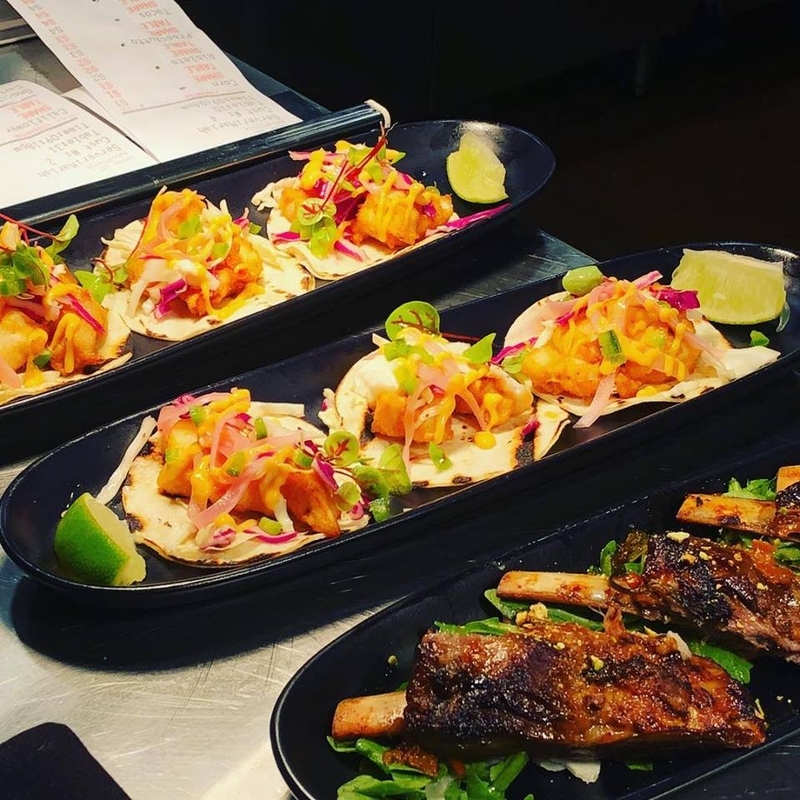 Appetizer highlights include the Duck Prosciutto, Summer Corn Salad, Ceviche, Cauliflower (roasted Israeli style), Fish Tacos, Lamb Riblets, and more. The Pasta / Fish options are currently limited to a small number of items including: Lamb Carbonara, Wild King Salmon in pesto w/broccolini, Sweet Potato Gnocchi, and more. 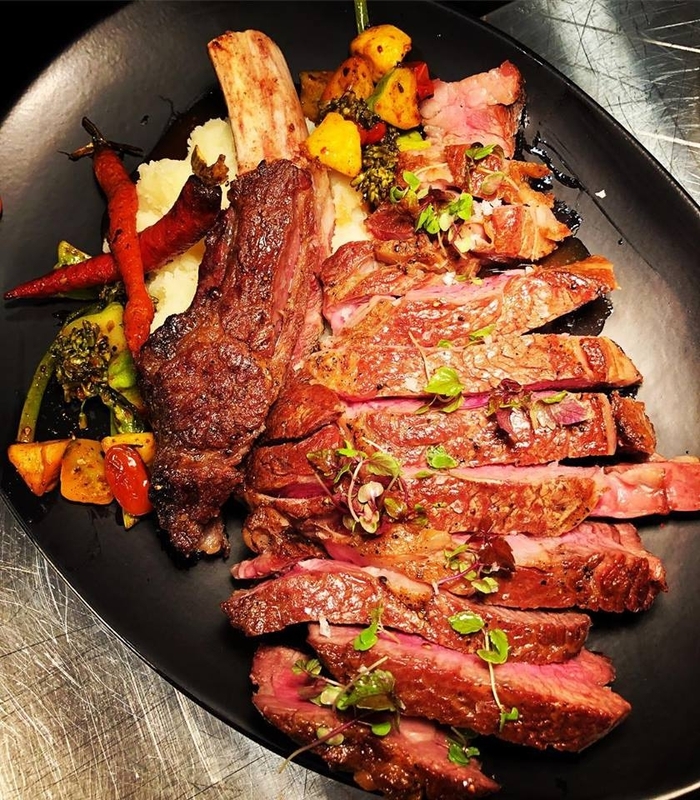 Barnea’s Meat & Fowl options currently include: Duck à l’Orange, Rack of Lamb, Veal Chop, a 28-day aged Delmonico steak, and more. The restaurant’s in-house pastry chef heads up their dessert menu of French pastries, coffee & espresso, and specialty teas. Barnea Bistro’s extensive beverage menu includes 13 house-made cocktails, nearly 100 curated kosher wines from France, Italy, Spain, Israel, Chile, New Zealand, Argentina, New York, and California, and another 100 spirits and beers from around the world. Reservations via OpenTable on their website are highly recommended. Barnea Bistro is certified Glatt Kosher by the OU.